No. 6 Salt Lake Community College women’s basketball (24-5, 12-2 Scenic West Athletic Conference) lost to College of Southern Idaho (18-11, 9-5) in Bruin Arena Thursday night, 78-75. The loss ended a 12-game winning streak that began Dec. 29. Cassidy Whitney had 15 points and 10 rebounds for her eighth double-double of the season. Clarissa Sabedra scored 15 points, Raushan Gultekin added 13 and Shelby Richards put in 11 more. The game was a tale of two halves: The Bruins made 65 percent of their shots, compared to CSI’s 41 percent, to lead 43-36 at halftime; however, Salt Lake dropped to 42 percent shooting in the second half, while CSI converted 64 percent of their shots. SLCC will play North Idaho College at home on Saturday at 5 p.m. to close out the regular season. In a wild conference matchup, Salt Lake (24-5, 12-2 SWAC) defeated the fifth-ranked Eagles (27-2, 12-2) 83-77 on Thursday night in Bruin Arena. 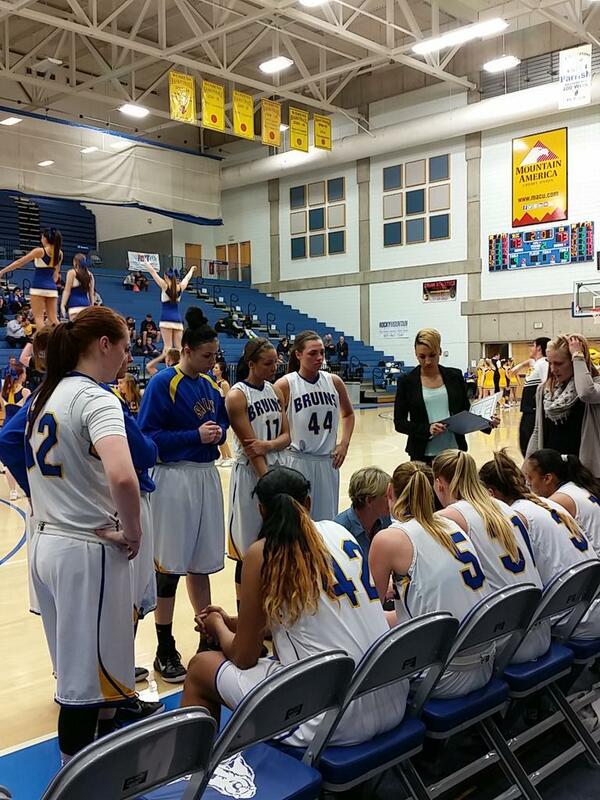 The Bruins led by 17 at halftime, holding CSI to just 15 points on 23 percent shooting from the field. The Eagles rallied back in the second half, tallying 54 points on 19-32 shooting. SLCC outscored CSI 14-8 in the overtime period, converting all eight free throws attempted. Salt Lake’s Brandon Morley scored a season-high 31 points and made 14 of 15 free throw attempts, including two with five seconds left in regulation to send the game into overtime. De’Sean Parsons was the other Bruin to reach double figures, totaling 20 points. The Bruins end the regular season at home on Saturday at 7 p.m. against North Idaho.